Internet Security is a prominent concerning issue for many people, especially for the business owners. Almost every one of us makes use of internet nowadays for many things. But, the internet can be really dangerous if you don’t follow proper security measures. The last couple of years have seen many disastrous cyber attacks both on individuals and corporate. Many virus, malware, and ransomware attacks have been targeted towards digital users. These attacks usually cause data loss for the victims. Of all these digital threats, ransomware can be labeled as one of the most dangerous ones, as it encrypts your files and demand ransom in exchange for your valuable files. To counter such malicious attacks, you must use efficient security tools. When it comes to internet security, Bitdefender has always been a leader, helping people safeguarding their digital lives. 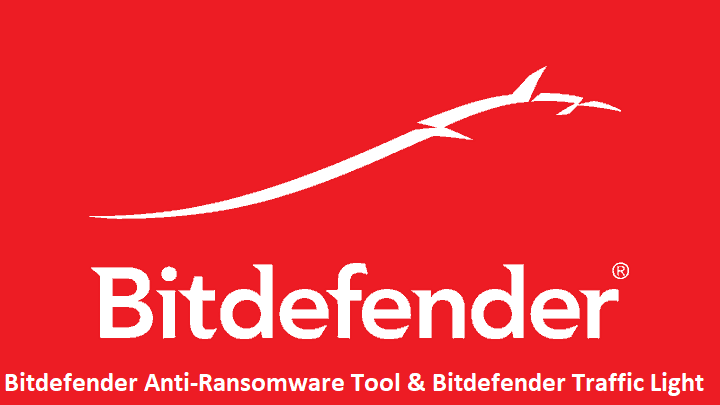 In this article, we have reviewed Bitdefender Anti-Ransomware Tool and Bitdefender Traffic Light to help you stay safe against various online threats effectively. Offers protection against major ransomware families. An efficient Anti-Ransomware technology: Ransomware attacks have wreaked havoc in the digital world in the last couple of years. Many victims have lost their sensitive and personal information due to these attacks. This tool offers a solution for you. You can secure yourself from the most dangerous ransomware threats such as Locky, Petya, CTB-Locker, and TeslaCrypt. By installing this software, you can ensure yourself that your device is protected against these attacks, eventually securing your files. Local Folder Monitor: Sometimes, these attacks may sneak up into your local storage and launch an attack in the background. Usually, attackers can bypass the inbuilt security mechanism of your device. 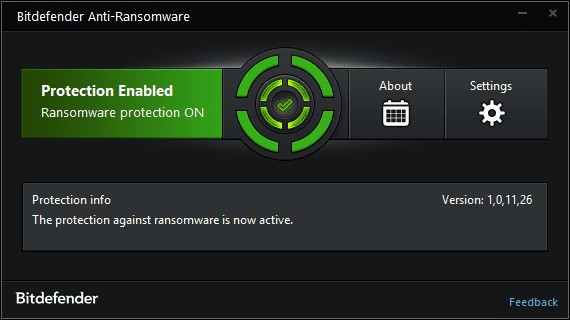 But, this tool from Bitdefender can help you in such cases. This program constantly monitors your local folders and detects any type of suspicious behavior. By doing so, it ensures that nothing gets into your local storage and encrypts your files successfully. Cloud Storage Monitor: Cyber attackers have innovated their attacking methodologies to bypass the usual security measures. Now, they are launching ransomware attacks through cloud storage folders, which can be difficult to detect. But, this tool can save you here, as it’s capable of monitoring your cloud storage as well. This is a great feature, since many of us utilize cloud space to store confidential files. Install this program and secure your important files stored on the cloud storage. Lightweight yet effective: If you’re using a software that takes up a major chunk of your device’s resources, chances of your system getting crashed are high. Furthermore, such programs usually don’t work effectively due to lack of resources. This tool from Bitdefender is different here, as it’s a very lightweight application that takes a negligible portion of your computer’s resources. 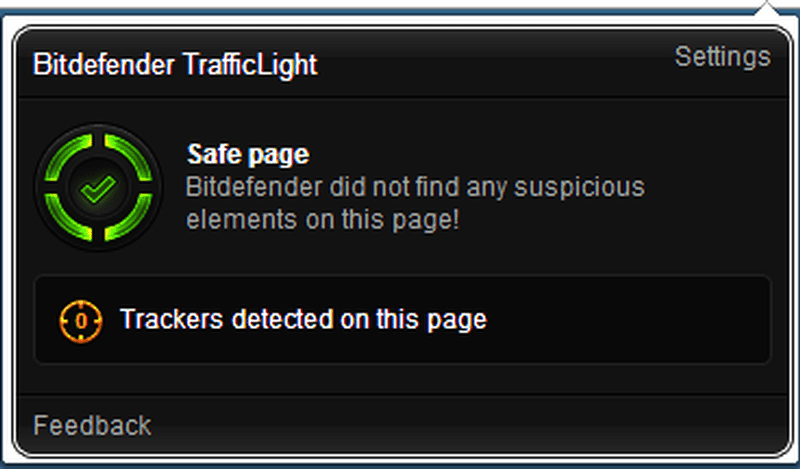 Another tool from the Bitdefender security ecosystem is Bitdefender Traffic Light, which is a browser extension. Your internet browser is the doorway to most of the cyber attacks, which is why you should be securing it without any compromises. Here’s a look at this amazing tool that offers browser security with seamless user experience. Available for three major browsers which are Chrome, Firefox, and Safari. Doesn’t clutter your browser with unnecessary toolbars. Advanced Threat Filter: You should know that many websites disguise themselves as normal ones, but contain several threats in the background. When you surf such websites without any protection, threats like viruses and malware infect your device. Some websites even contain phishing scripts, which can hack you seamlessly. In order to protect you from such attacks, this security tool offers Advanced Threat Filter feature which scans websites for any threats and blocks them instantly. Tracker Detector: Majority of the websites use trackers which are downloaded onto your device the moment you open that website. These trackers are used to analyze your user behavior. Usually, these files are used by brands to assess their traffic, but many malicious websites take advantage of this phenomenon and invade your privacy through this method. To counter such things, the Tracker Detector feature of this tool constantly scans for any trackers and reports them to you. Search Analyzer: When you’re using search engines to find out any information you want, you automatically believe the websites that appear in the search results in most of the cases. But, not many people know that many malicious websites appear on the search engine results. Interacting with such websites may lead to catastrophic situations. To protect yourself from such instances, you should definitely enable the Search Analyzer feature of this security tool. This feature reports any type of websites that comprise of malware or fraudulent elements. The above-mentioned internet security software from Bitdefender have been thoroughly tested by our team. Here, Bitdefender Anti-Ransomware and Bitdefender Traffic Light both have done an excellent job of protecting the device from malware, ransomware, and other types of threats. These tools worked exactly as they’re supposed to. You may have already known how vulnerable your digital life is. To safeguard yourself on the internet, try installing these two tools and start using them. If you’re looking out for a complete security software, it’s better to proceed with Bitdefender Total Security program.